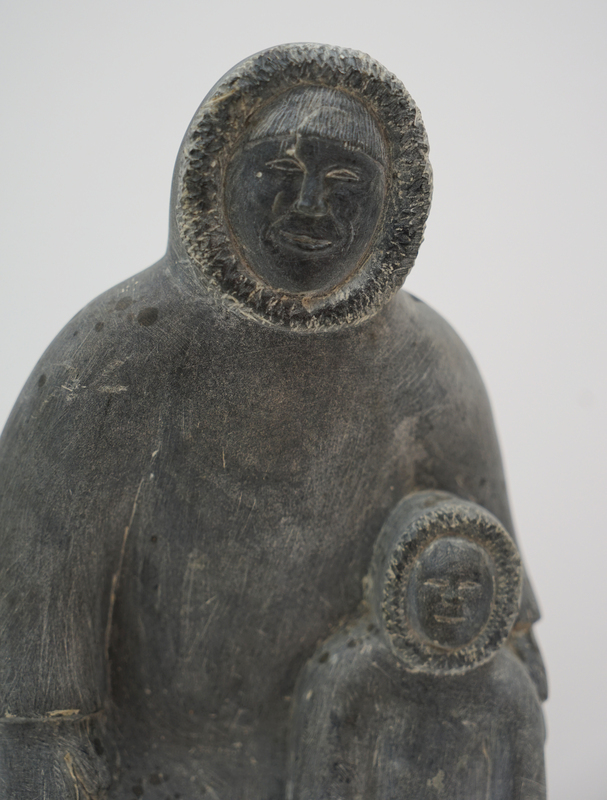 The unique cultural traditions and former way of life of the Inuit, the native people of the Canadian Arctic, is conveyed in stone carvings and prints as well as handiworks, including a kayak. Featuring such themes as animals, hunting and family life, these artworks date from the 1950s to the 1990s and are accompanied by videos, hands-on projects and other fun activities. A semi-nomadic people living in a harsh, frigid environment, the Inuit developed cultural mores that remained largely intact until the mid-nineteenth century. As more and more outsiders discovered the Arctic and its economic potential, Inuit culture transformed and their old customs all but disappeared. Artist cooperatives, first established in the 1950s, not only helped the Inuit to transition in a modern world but also kept their traditions alive. 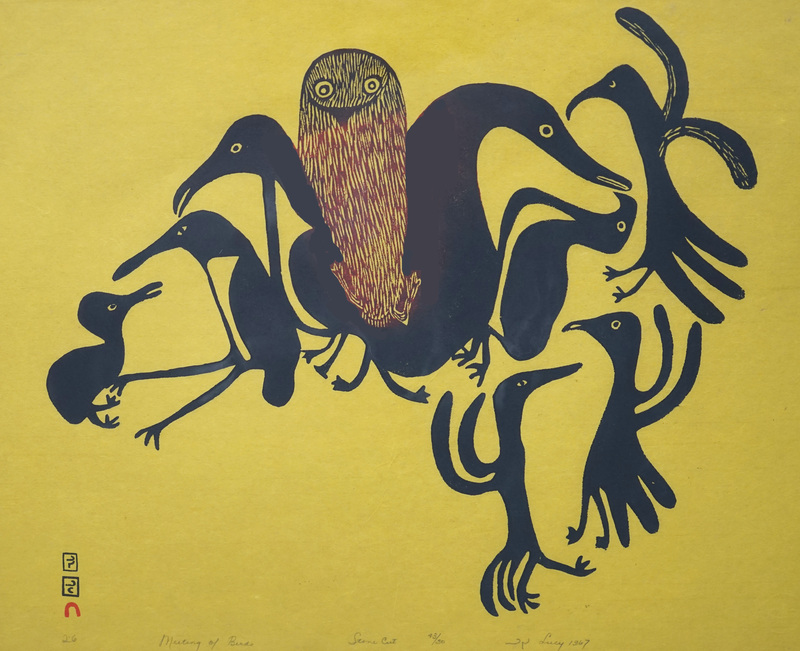 Lucy Qinnuayuak, "Meeting of the Birds, 1967." Stonecut on paper. Louisiana Art & Science Museum Collection. Aopalootak, "Group," n.d. Stone. Louisiana Art & Science Museum Collection. 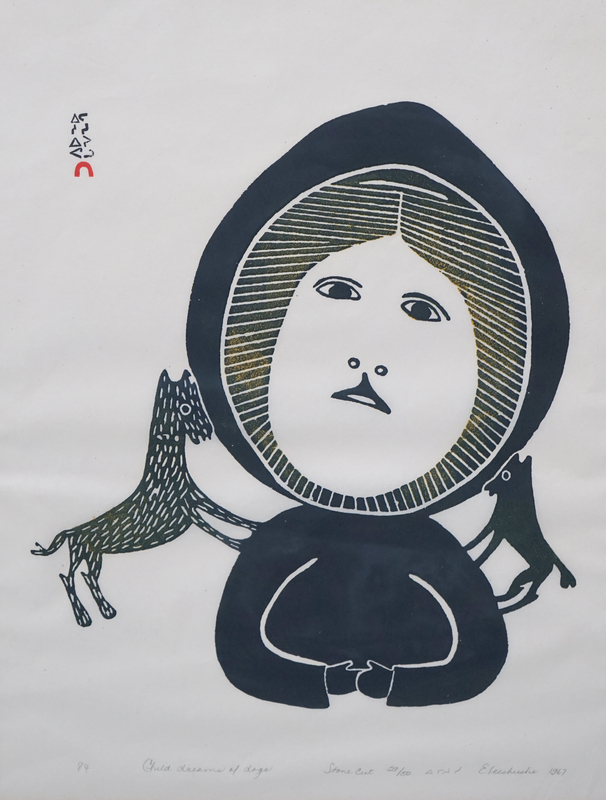 Eleeshushe, "Child Dreams of Dogs," 1967. Stonecut on paper. Louisiana Art & Science Museum Collection.